The Institute for Educational Leadership held their National Family and Community Engagement Conference this past weekend. The conference brought 1700 participants from across the country to engage in conversation about family and community on a deeper level. 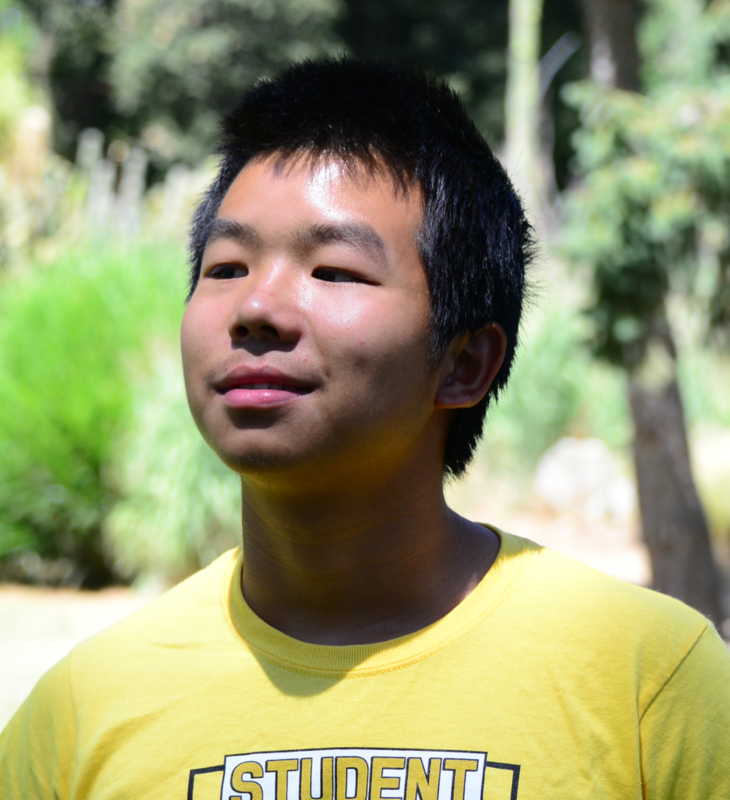 Our Californians for Justice student leader Zhihao Guo participated as the only student leader on the Bay Area Story panel, sharing his indispensable experiences and bold vision for education to create and sustain the conditions for all youth to thrive. My name is Zhihao Guo. I’m an incoming 11th Grader at Oakland Technical High School and a youth leader with Californians for Justice. I am also the Student Director for the Oakland Unified School District LCAP Student Advisory Committee. I have always seen inequities in my community and wanted certain changes in my neighborhood. I got involved with CFJ because they provide opportunities for young people like me to take initiative and transform our communities. Californians for Justice has always been a breeding ground of youth activists and leaders, and most importantly, changes in our communities. One example is the Local Control Funding Formula (LCFF) that was passed into law by Governor Jerry Brown in 2013, which allocated additional funding to school districts with a large number of high needs students. This victory was the result of the commitment and leadership of students, families and community partners in the fight for school equity. Share your personal story and connect to why student voice & leadership matters in our schools. As an English language learner, I am one of the high needs students that LCFF serves. I struggled with feeling a sense of community at school. There was little support for English learners. Often, it felt as if being an English Language learner was the worst thing to be. My learning environment simply wasn’t enjoyable. That’s why, now as the Student Director on the LCAP, I recognize why having student voice and leadership present in our schools matter, not only for English learners but for all students. Teachers and school districts often think students are all identical minded. So they design hats that are one size fits all. However, we have different strengths and needs, especially in a place like Oakland where students come from certain neighborhoods that are just food deserts or they go through PTSD like that of a veteran. Those issues are grossly unspoken of and unaddressed, and impact student learning. Students with more needs cannot succeed in a school system that assumes all students are well fed and well cared for. That’s why students must be able to have a say in their education. Teachers, school districts and staff should be in partnership with students. That is what shared decision-making looks like. Allowing the school district to dictate how students should learn is equivalent to a doctor who diagnoses a patient that they never consulted. No one knows more how students learn other than the students themselves. It would be a nightmare if a doctor administers drugs to a patient without the input of the patient. Well, that’s what happens with the absence of student voice and leadership at our schools. How can we hold our schools accountable to serving us if our voices are not at the table? It’s essential that student leadership and voice are reflected in our school and communities because we’re the ones that will be running the world one day. The future of the world is in our hands and whether we could properly steer the fate of humanity to a new height of prosperity hinges on how we are nurtured today. It’s our obligation to demand for quality education and care. 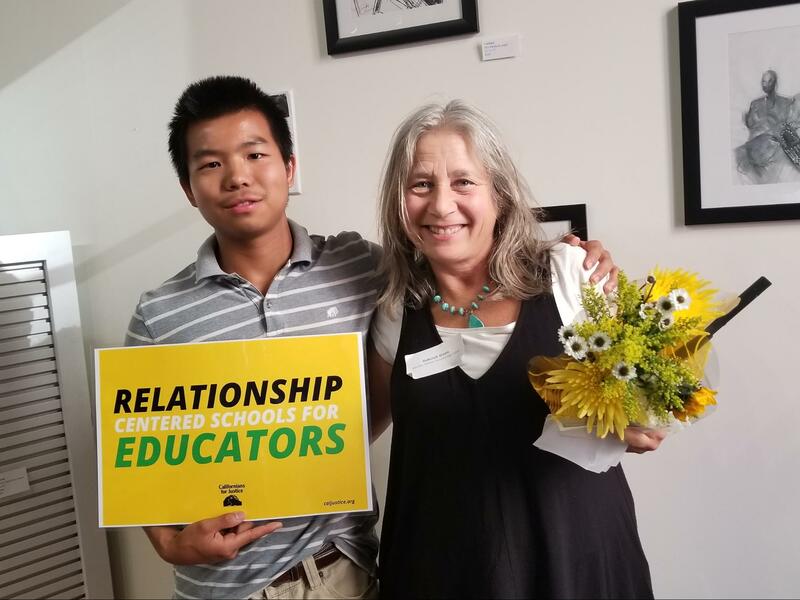 Highlight how your personal story and belief that students led you to your involvement in CFJ and Oakland Unified School District (OUSD) as the Student LCAP Director. It means a lot for an English language learner and someone of low-income immigration status to hold the LCAP student director position. Schools don’t know our stories and the district doesn’t understand our struggles. This all results in us not being adequately cared for and our potential never being brought to light. Since my arrival as the LCAP director, I sat on a student panel to conduct superintendent interviews, presented in front of our district board members on the crisis of our faulty credit recovery system and its strong correlation with our low graduation rate, and pushed for endorsement of recommendations in the LCAP that students believe are priorities. As a result of youth leadership, students have secured the commitment from our district to hold credit recovery as a priority in the next school year, and the student panel’s unanimous choice during superintendent interviews was recently appointed as the new Oakland Superintendent. I appreciate the Institute for Educational Leadership for providing me with this opportunity to share my experiences, as well as the importance of student voice and leadership in our schools and communities. Student voice is an important step to ensuring equitable engagement, shared decision-making, accountability, and transparency can become real in our districts.